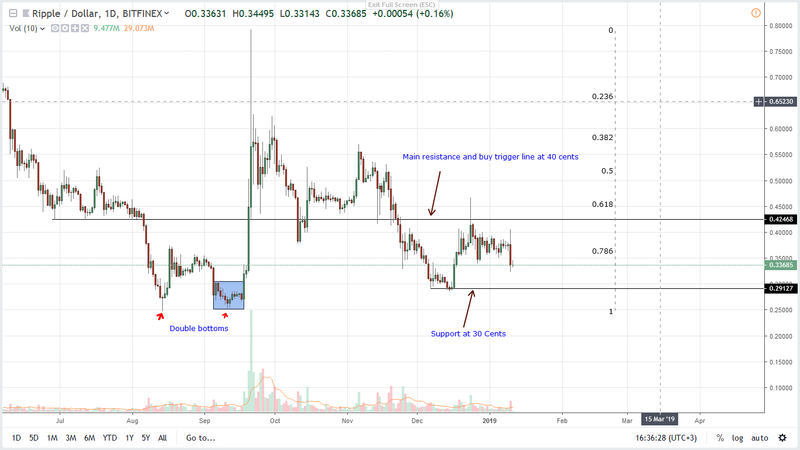 The ability of XRP to absorb shocks may be the reason why the coin is in second place. XRP, despite its specific use as a cross border liquidity tool for banks, is stable in the last hour. XRP prices are trading above 30 cents. Although yesterday?s sellers rammed prices below the first support at 34 cents, our bullish overview is valid. The only time, as reiterated in the last XRP/USD price analysis, we shall revert to bearish is if asset prices collapse below 30 cents. David Schwartz and the XRP Royal Army may be having a field day thanks to Ethereum Classic?s debacle, but the valuation table relays countering signals. As per Charlie Lee expressions, proof of work networks are true representations of decentralization. He goes on saying true decentralization paves the way for attackers to launch double spending attacks more so if the network?s total hash is low. Such acclamation is everything against what David Schwartz stands for: speed and security. Even with superior throughput, Ripple and other systems making use of proof of work alternatives have no power to dislodge store of value coins as Bitcoin in the long term. Though the gap will widen, the crypto market as a whole will expand as adoption increase more so if more products are built allowing for seamless crypto payment backed by education. Rachel Mayer, the Product Manager for Circle Pay and Circle Invest, said in a recent Reddit AMA session: ?we need to BUIDL better consumer products that feel like native internet apps so that you can use crypto seamlessly (outside of speculative investing). Finally, it is our responsibility to continue to educate not only regulators but your friends, family, and acquittances of why blockchain technology is here to stay and the value it will unlock for them and the rest of the world. ?